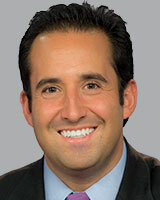 Originally from Philadelphia, Jonah Kaplan joined ABC11 Eyewitness News in 2016 as the Political and Investigative Reporter. He's an integral part of the ABC11 I-Team alongside Troubleshooter Diane Wilson. Jonah began his career in sports with positions at ESPN and YES Network, but later transitioned into full-time work in hard news. His work has appeared on ABC, NBC, and CBS News, as well as CNN and MSNBC. Jonah is a two-time Emmy nominee, and was awarded the top prize for Political Reporting from the Radio Television Digital News Association of the Carolinas for his coverage of the 2016 Election. In 2013, the Religion Communicators Council recognized Jonah with the Wilbur Award for his reporting and producing a five-part series called "Journey to Jerusalem," an award he shared with the late 60 Minutes correspondent Bob Simon. Reporting for KSPR-TV in Springfield, MO, Jonah was one of the first reporters on the ground in Joplin after a blistering tornado killed 158 people in 2011. He still keeps in contact with the survivors he interviewed there. Jonah's professional journey also includes stops at WTMJ-TV in Milwaukee, WI, KAUZ-TV in Wichita Falls, TX, and the Boston Bruins. He graduated with honors from Boston University's College of Communication. Outside the newsroom, you can find Jonah playing ice hockey or chanting at synagogue (he's a son of two rabbis!). Jonah lives in Raleigh with his wife, Grace, their daughter, Rena, and puggle, Barkley. One week after the Durham Explosion, several utility contractors told the ABC11 I-Team that they face several challenges trying to locate underground wires and pipes based on the spray-painted markings above ground. Saint James Seafood and Torero's Restaurant are two popular eateries now cordoned off by lines of yellow and red police tape.